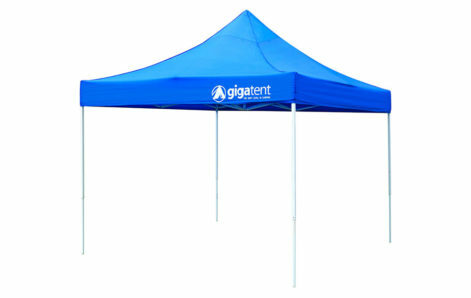 The Giga Tent Classic 10′ x 10′ Canopy, gives you 100 square feet of floor space for friends, family, and outdoor gear. 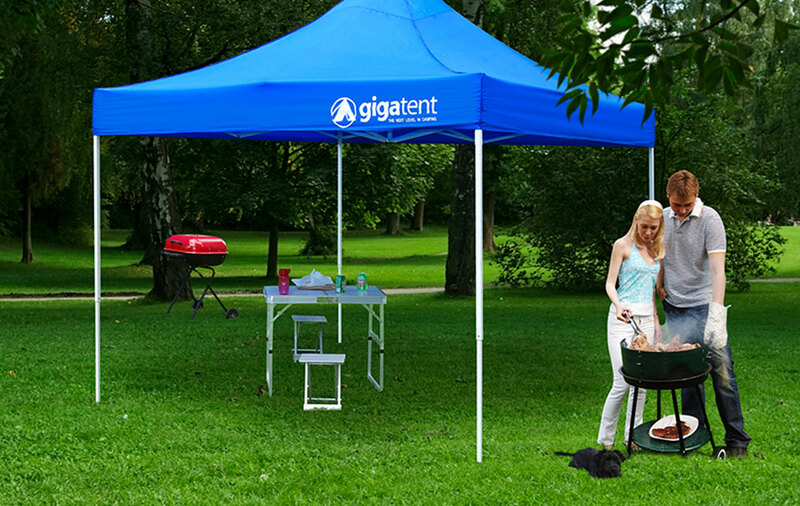 The canopy top is made of tough, fire-retardant 190T denier polyester to make sure you have a worry-free afternoon. The powder-coated accordion steel frame is not only strong, but it makes setup and takedown incredibly easy for such a sizable tent. 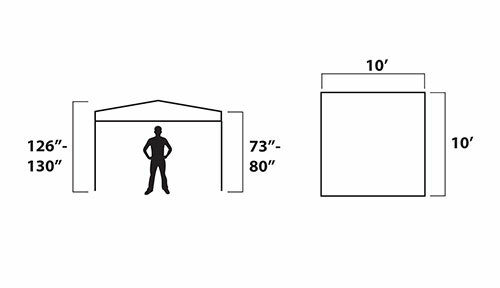 If that weren’t enough, stakes and a convenient carrying bag are included, and the whole 54-pound canopy and frame collapse down to an 8″ x 8″ x 57″ package for easy transport.